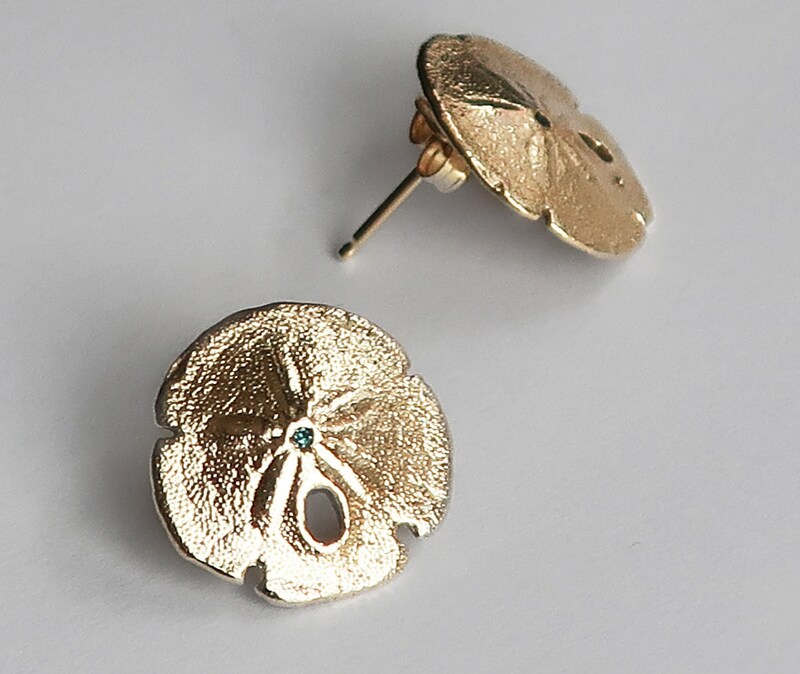 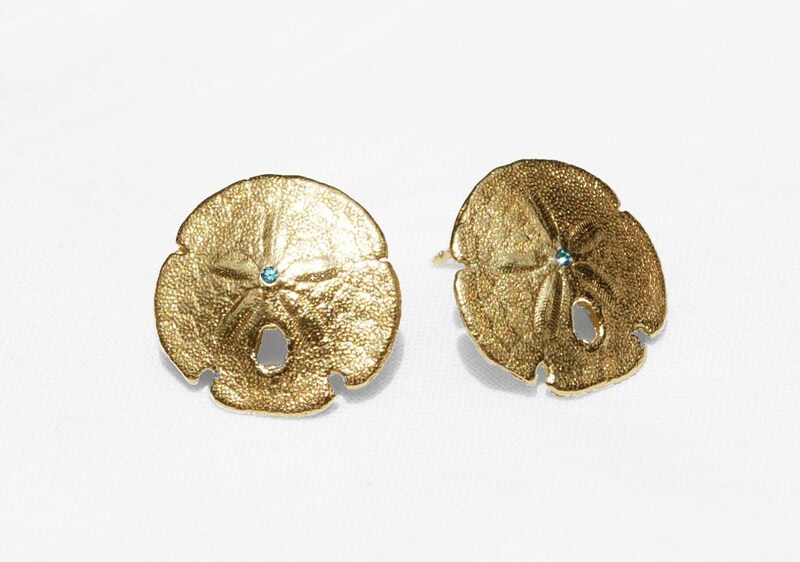 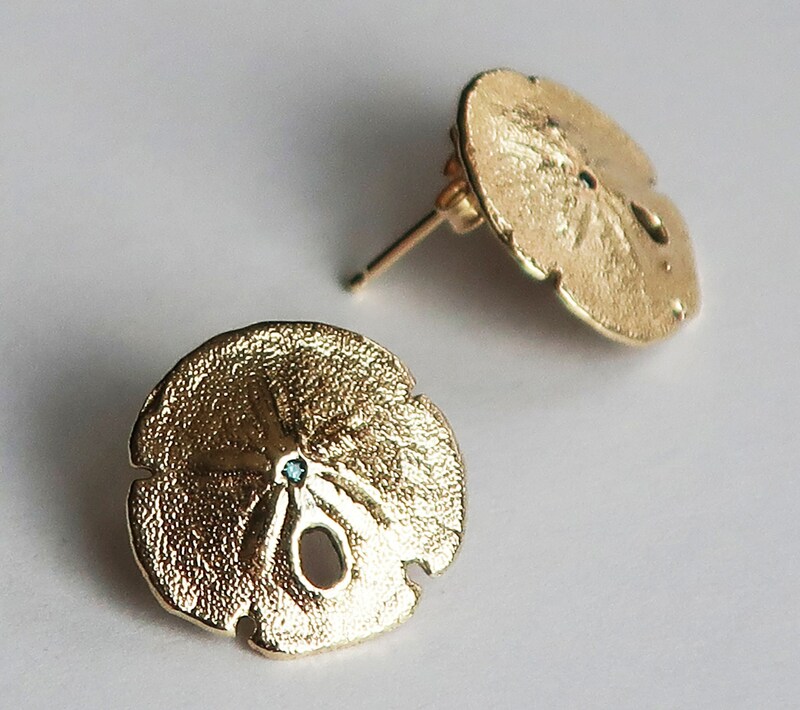 A pair of tiny gold sand dollar earrings with .9mm blue faceted diamond centers. 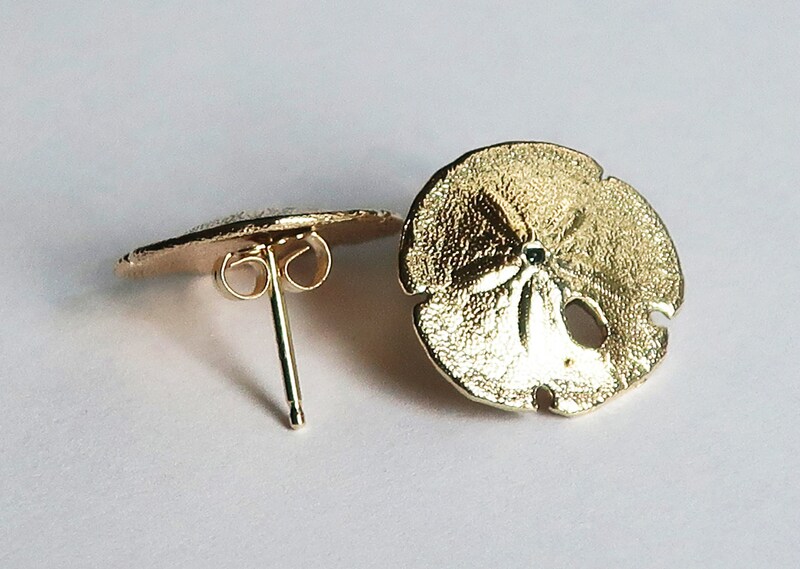 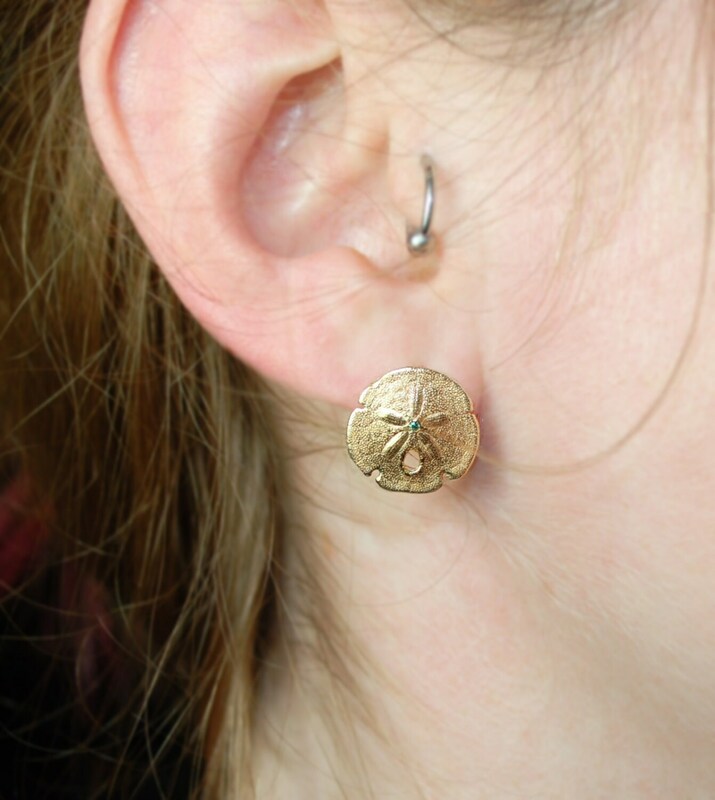 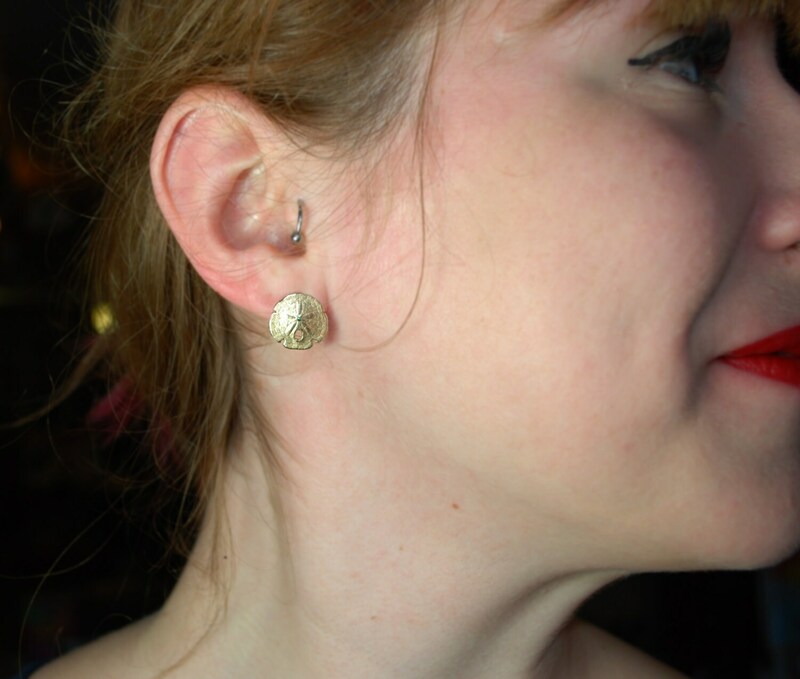 Each 10k solid gold sand dollar measures approx 1/2" (1.3 cm) in diameter and has solid 14k gold ear posts and backings. 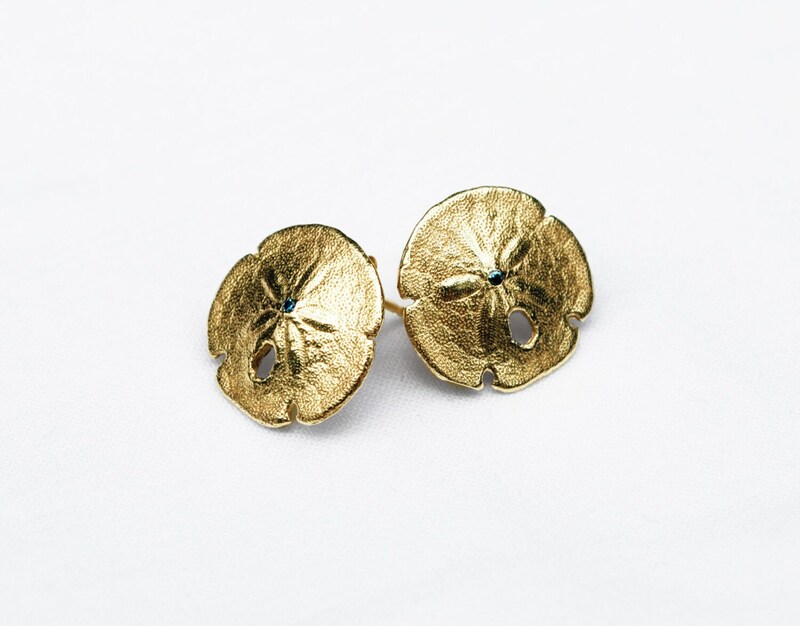 Available as a pair only. 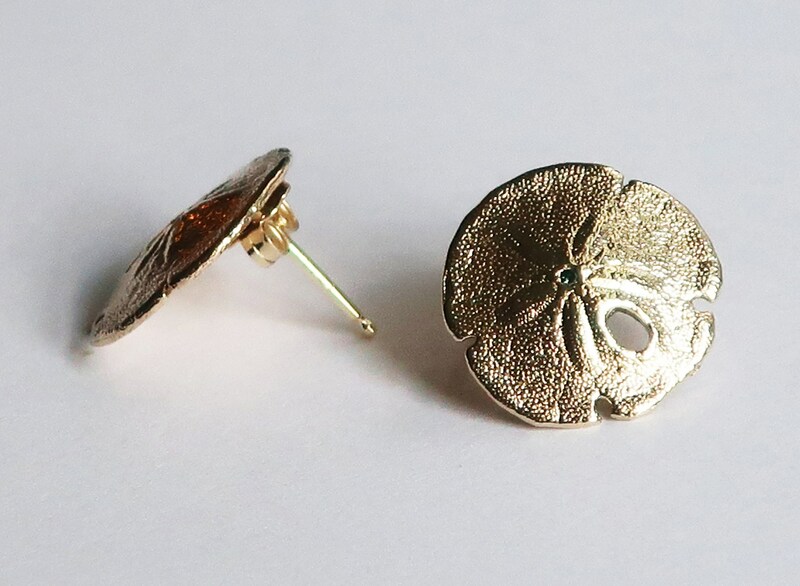 Lovely little Mermaid Coins for your ears!